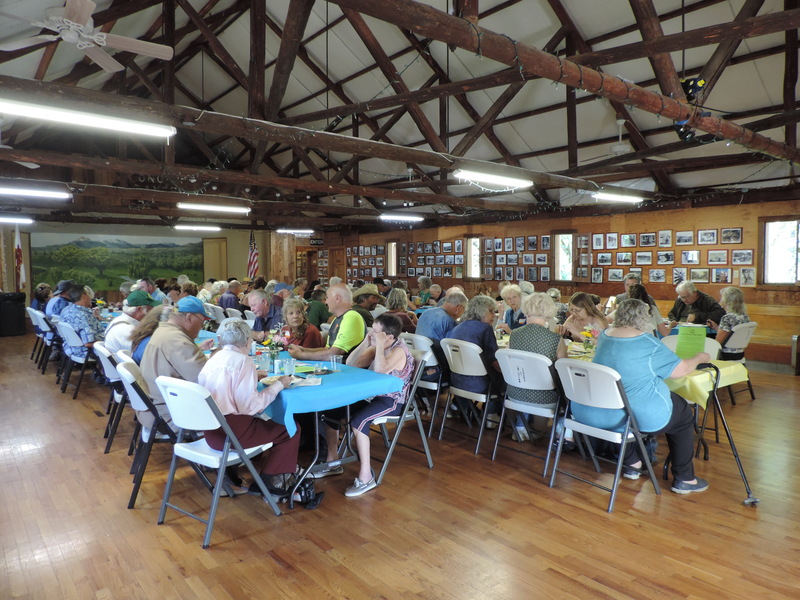 The Old Timers’ Dinner is an invitation-only reunion dinner for folks aged 62 years and up who live, or have lived in the Igo-Ono community. If you, or someone you know, is an Igo-Ono Old Timer, please let us know so we can add you to our guest list. 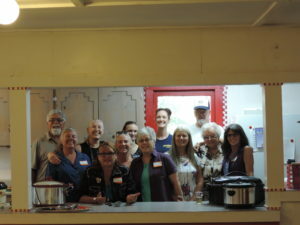 The Crew, left to right: J.C., Mary, Patty, Sue, Karla, Julia, Tricia, Shelby, Irene, Jerry, Shirley, Vicky. Following tradition, Grange members cooked turkey, ham, mashed potatoes, dressing, and gravy. 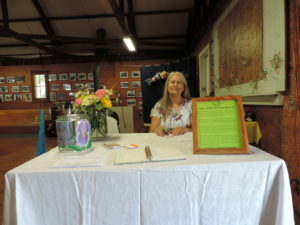 Generous guests, members, and friends prepared and donated delicious salads, sides, and desserts. 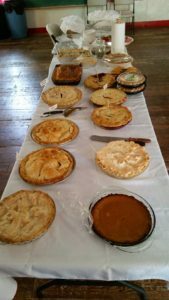 Pies, pies, and more pies! Ono Grange Scrapbook, PO Box 200, Igo, CA 96047. If you have questions, contact the webmaster: webmaster@onogrange.org. 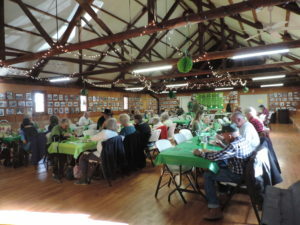 Thanks to all for making the annual Corned Beef and Cabbage Dinner a success! The cleaning and decoration crews decked the Hall with festive greens and twinkling lights, working behind the scenes to add their personal touches and set the mood. Ready to go! Left to right, Karla, J.C., Mary, and Shirley. 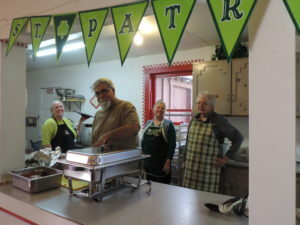 Chef Karla, and her husband, J.C., led the kitchen, preparing a delicious dinner of corned beef, cabbage, potatoes, and carrots. The mouth-watering aroma wafting through the Hall greeted our guests, leaving no doubt in which direction the kitchen could be found. Dessert was extra special this year– birthday cake. 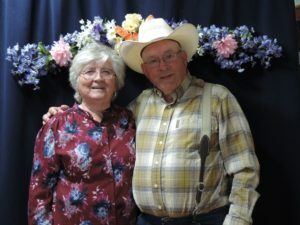 Long-time Grange member, Dorothy, celebrated her 100th birthday at the Dinner. 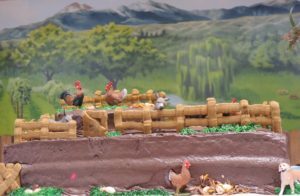 New member, Sue, baked 2 cakes: a whimsical, (and delicious!) 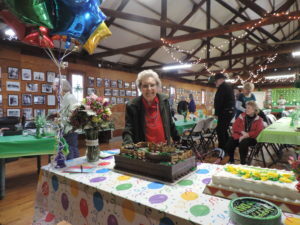 Misty Meadows-themed cake, and one decorated with yellow roses to help wish Dorothy, ‘Happy Birthday.’ She also received a vase of beautiful flowers. Birthday girl, Dorothy, checks out her birthday cakes. We hope Dorothy enjoyed her birthday as much as we’ve enjoyed having her as a member of the Grange and our community.